We are a team of freelance Architect, Interior designer and Contractors. We create polished spaces that are functional, friendly, beautiful and lively. With the vision to bring life to objects that are functional, progressive and economically viable, deSigneR was formed. Our destinctive feature is attention to the little things. From concept initiation, through design development, detailing, prototyping, and guidance in manufacturing, we have extensive background in creating designs that elevate the experiences of everyday life. We do design consultancy as per clients budget and having a strong back up team of various contractors with an eagle eye on finishing and committed timelines. We can work on modern, contemporary, traditional, classic themes as per the clients test. 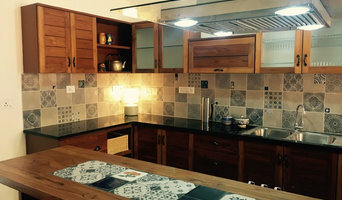 I am a Bangalore-based interior design consultant whose special strength lies in turning simple cabinetry into something more, by adding little details and flourishes that I've come to be known by. I particularly enjoy doing custom kitchens and adding a personal touch to each space, no matter how small. I am supported by a young designer and a wonderful team of craftsmen who love what they do and enjoy the challenge of creating these unique pieces. And best of all, they don't cost the earth! The world of design is in a constant state of flux; exploring and evolving into and out of new ideas, concept, trends and fads. It is also about revisiting older trends that were set decades ago and reinterpreting them in a fresh and contemporary way.So is the philosophy of FADD Studio. While FADD is an acronym for Farah and Dhaval Design, it is also a play on the word 'fad'. It is easy to stagnate into a style that becomes a firm's identity. And we believe that having a singular style defies the purpose of design, which is to push beyond what we known, achieve something novel and unique in every project, and be constantly propelled out of our comfort zone into a world where we not only embrace new concepts and techniques but also create fads of our own.With this stubborn sensibility and desire to be original, we aspire not to create a style unique to us but to give you a design identity that is exclusive to you and your space whether it's a home, restaurant or store. FADD Studio was founded in 2012 in Bangalore by Farah Ahmed, who studied at Instituto Marangoni in Milan and Dhaval Shellugar who Studied at Rachana Sasand's Academy of Architecture and Design in Bombay. Both met while working at Khosla Associates under Sandeep Khosla and Amaresh Anand. FADD Studio's projects range from residences to offices and retail spaces to hospitality. Currently, the studio is designing a music lounge in Bangalore, a house boat in Goa, luxury villas in the outskirts of Bangalore and a holiday home in the heart of Bangalore. Aum Architects is an award-winning design firm that offers consultancy services in Architectural, and Interior Design globally. At the heart of this organisation is a team of some of the most talented and dedicated architects India has produced. Making use of the most advanced technology available to architects in Mumbai, India they provide their clients with a diverse array of services that range from architectural, civil and interior designing to project planning and management. Cornerstone Design Studio - India is a professional interior design and decoration company operating in Bangalore. They are known for their stylish, contemporary and cost-effective designs. Their work includes designs and executions for Residential, Flats, Villas and Hospitality. 1 year experience in interior designing. Residential, commercial & outdoor indoor projects. 2D / 3D Autocad Plans with render view. We are a group of professional interior designer or software designer. we provide all creative solutions with utmost precision. 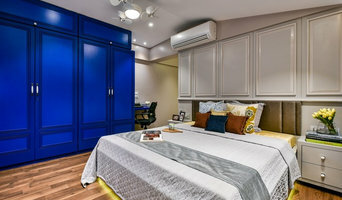 ANUSHKA CONTRACTOR - AN INTERIOR DESIGNER FROM MUMBAI, WHO HAS BEEN WORKING SINCE THE AGE OF 19 (2008) AFTER GRADUATING FROM THE PRESTIGIOUS RACHANA SANSAD SCHOOL OF DESIGN. SHE HAS GAINED MUCH EXPERIENCE DIRECTING IN LUXURY RESIDENTIAL, COMMERCIAL, AND PUBLIC SPACE INTERIOR DESIGN. THOUGH HER SPECIALTY LIES IN DESIGNING FURNITURE, SHE NEVER SHIES AWAY FROM TAKING UP CHALLENGING PROJECTS TO PUSH HER BOUNDARIES. SHE HAS BEEN LISTED IN THE TOP FIFTY NEXT GEN DESIGNERS IN INDIA BY ARCHITECTS AND INTERIORS INDIA, “I STILL CONTINUE TO LEARN AND GET THE BEST OUT OF MY SKILL SET AND CAPABILITIES.”, SHE SAYS. SHE HAS BEEN FEATURED EXTENSIVELY IN NATIONAL PUBLICATIONS, BLOGS & MAGAZINES. ARMED WITH A WORK EXPERIENCE OF OVER 3 AND A HALF YEARS WITH SAMEEP PADORA AND ASSOCIATES (SP+A) AND A YEAR WITH HER FATHER’S COMPANY MAN ASSOCIATES. KNOWN FOR HER CONTEMPORARY STYLE WITH A CLASSIC TOUCH, ANUSHKA’S MAIN INFLUENCES COME FROM EUROPE, AND ALONG WITH HER URGE TO VISIT EUROPE, SHE WISHES TO SHOWCASE HER CREATIVE SKILLS AND EXPAND HER REACH IN THE FIELD OF INTERIOR DESIGN. Our mission is to create beautiful and livable spaces that meet our clients' aesthetic, functional and economic goals while respecting the environment. We specialize in Residential (luxury and budget projects), Commercial and Retail Design Projects. Globe-trotting and media savvy, Anand Mehta and Prashant Halankar Principal architect of CONTOURS - THE DESIGN CO represent a new breed of go to architect duo. For Anand Mehta and Prashant Halankar, it was the kismet at first that has glued them together even today. In search of individual studios, the two dynamic graduates from the reputed Rachana Sansad School of Interior Design Mumbai with contrasting design sensibilities met by chance and decided to help each other. In the early day, Anand and Prashant started taking on whatever project came their way. Over the years, they have achieved an enviable level of specialization where today the CONTOURS - THE DESIGN CO is an award-winning, full-service architecture, interiors and urban design studio, taking a context-first approach to design.The firm’s work encompasses institutional, commercial, educational, multi-residential and single-family space, emphasizing a balance between bold vision and grounded, design-driven solutions. The firm is big on collaboration, partnering with clients to elevate their vision. Having worked on some of the most notable projects in the city and beyond, CONTOURS - THE DESIGN CO understands the transformative effect of Architecture and Design. A lot of design is story telling. We believe in writing stories. Stories that are based on client brief. Stories that are expressed through different mediums. Even though we design spaces, our involvement crosses over different disciplines of designs mentioned below, combined with our strengths to bring sketches to reality. Concept Development Space Planning and Design Furniture Design and Sourcing Product Sourcing Custom Lighting Design Interior Styling Bespoke Art and Installations We are devoted to applying our philosophy to design. We are happy to meet you in our appointment based studio in New Delhi to envision your space. As a team at Mansi Desai’s firm, we thrive on our tag line “designs for living” we abide by it and create interiors and products that are not just functional but aesthetically exquisite. We follow our passion for designing an interior space not just for the sake of it but, for the sole purpose to reflect the dwellers personality living within. We continuously update ourselves with the latest trends, materials and design forecasts. Our main motto is to understand the needs of our clients and present astounding end results within the time frame which is a classic win-win situation since it leaves not just our clients but our team fulfilled and happy as well. Consider designing to be an enlightening journey from concept to reality. Baldiwala Associates has to its credit pleasing interiors with functional awareness – Baldiwalas meticulously involve to achieve innovative solutions responsive to clients requirements of design, budget and aesthetics. These values have been reflected in their various repeated projects,be it Commercial, Residence, Health Care facilities, Showrooms or Public Institutions. Present advancement in technology and globalization though have a lot to offer in terms of speed and trends which indeed is remarkable. However, Baldiwalas strongly feel it’s the human element in the approach that ultimately produces designs that improve the quality of life around us. 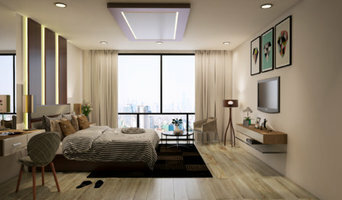 Spacecrafts offers total home interiors solutions for your Apartment or Villa home. We have crafted several elegant designs for all the different living spaces in your home, including living, family, kitchen & dining, studies, bedrooms, bathrooms, balconies, utilities and other spaces. We have completed works in several projects such as Adarsh Palm Retreat, Prestige Glenwood, Nambiar Bellezea, Chaithanya La Grove, Brigade LakeFront, Vaishnavi Terraces, Divyasree 77, .Godrej Platinum, Hiranandani HillCrest, Good Earth Patterns, etc. Please contact us if you would like us to do your Home Interiors. Both interior professionals are closely related and often mistaken for the same thing, however, there are some significant differences you should be aware of before hiring. An interior designer, also known as an interiors architect, will not only hone your style down to its very essence but will be able to choose a functional layout. All interiors designers require specific schooling and formal training. They use their specialised knowledge of interior architecture, building regulations, materials, and furnishings to help you arrive at your dream home design. Interior design companies can come on board during the early stages of construction to plan spaces and room functions down to the last detail, and can help design and renovate interiors and decorate. On the other hand, an interior decorator will typically be involved with the “look and feel” of a space, and won’t be able to assist in renovations that require structural work. Interior decorators normally come on board after all structural work is complete. Why should I hire an interior designer or decorator? Everybody wants to a home that reflects their personality, though some of us are just too preoccupied with a career and/or family to think about colour schemes, wallpaper, flooring, and lighting. A professional interior designer can save you bags of time, stress and months. Residential interior designers and decorators understand the latest trends, have a good sense of layout and functionality. They can also save you money by sourcing products via trade contacts or offer affordable alternatives to blowout iconic designs. How do I choose the right interior designer for my home? Every Indian home is unique in its style and can be an inspiration to define your own style. You start by looking at images and work of different interior designers and decorators. Save the pictures and details of the professionals who match your taste.There are plenty of interior design companies and interior designers who can help you turn your living room into mix-and-match lounge oozing an eclectic style, or turn a pale and interesting minimalist bedroom with shots of colour, or a beautiful space inspired by Scandinavian design. 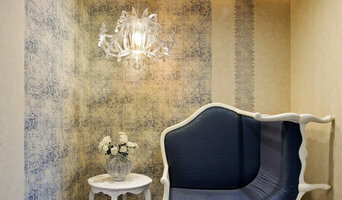 Pick an interior designer who has completed work similar to the look and feel that you desire. Be sure to discuss your needs, ideas, constraints, and budget early on. Some interior companies are design only, while others can oversee the whole project. If it is the latter that you seek, make sure all subcontractors used are well experienced and accredited. What are some of the important questions to ask interior designers or interior decorators? Find an interior designer or home decorator on Houzz. Narrow your search in the Find Pros section to find interior designers & decorators. You can also look through photos to find a room you like, then contact the interior design firm who designed it.